Childhood exposure to secondhand smoke has been shown to result in an increased risk of and harm from chronic obstructive pulmonary disease (COPD). This study was undertaken by a group from the American Cancer Society’s Epidemiology Research Program. The conclusions were made after looking at the association of exposures to secondhand smoke in childhood and as adults to death of all causes, including ischemic heart disease, stroke, and chronic obstructive pulmonary disease, among 70,900 smoking men and women who never smoked. Those studied were mostly over the age of 50 and were from the Cancer Prevention Study-II Nutrition Cohort of 1992-1993. An exposure to secondhand smoke for more than 10 hours a week was found to be associated with all causes of death as well as ischemic heart disease, stroke and COPD. The conclusions drawn from this study are that reducing exposure to secondhand smoke is important from a public health perspective and measures should be taken to reduce the risk. Given that vaping of nicotine in the form of electronic cigarettes has been shown to also be toxic, any form of smoking is likely contributing to health concerns of those experiencing secondhand exposure. The risks of both first- and secondhand exposure are a particular concern for adolescents and teenagers. Evaluations of existing businesses related to consuming vaped products have shown that the risk for harmful exposure goes beyond the establishment. Users of vaped products exhale large clouds of vaped materials that can result in passive exposure to those around them. Like cigarette smoke, the exhaled material can settle on surfaces and travel through the air. The residue was monitored in and around a commercial vape business and found to be evident even after one day of exposure. The concern is that even in a single establishment, those in adjacent spaces or residents are potentially at risk from the secondhand exposure. The vape cloud and exhaled product are considered toxic not just to the user, but those around them. The recent study discussing secondhand exposure to smoked tobacco products and risk for disease later in life demonstrates how vulnerable populations are to the behaviors of a few. One of the researchers, W. Ryan Diver, MPHS, commented, "This is the first study to identify an association between childhood exposure to secondhand smoke and death from chronic obstructive pulmonary disease in middle age and beyond." The lessons to be learned are certainly of value as public policy regarding public and private use of other carcinogenic nicotine or inhaled cannabis are formulated. 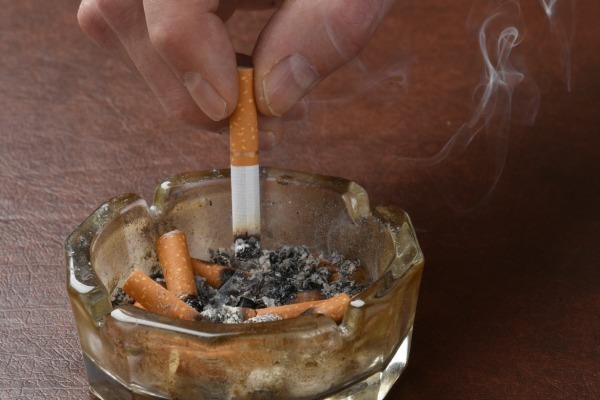 Diver further commented, "The results also suggest that adult secondhand smoke exposure increases the risk of chronic obstructive pulmonary disease death. Overall, our findings provide further evidence for reducing secondhand smoke exposure throughout life." The need to be proactive and not only reduce exposure to cigarette smoke, but other forms of nicotine and inhaled products is important for the public.